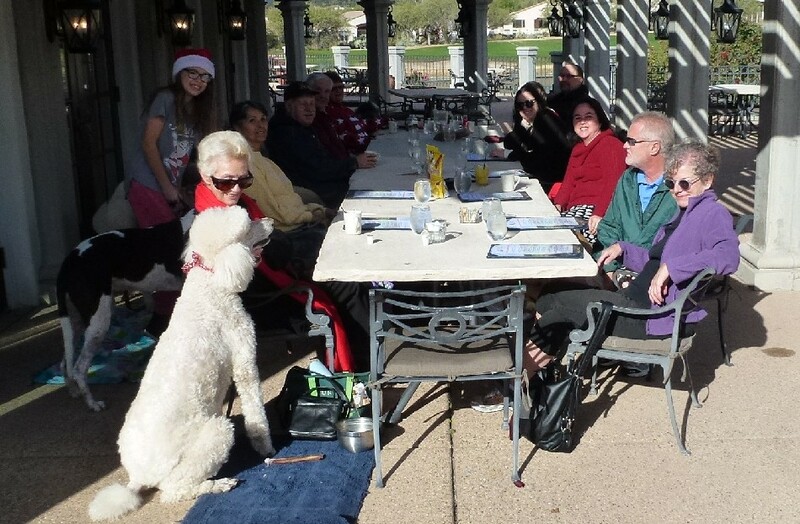 The dogs with their two-legged companions celebrated a Holiday Breakfast at the Wildcat Grill at Arizona National on Christmas Eve morning 2015. The grill is now referred to as the 9th Hole Grill. 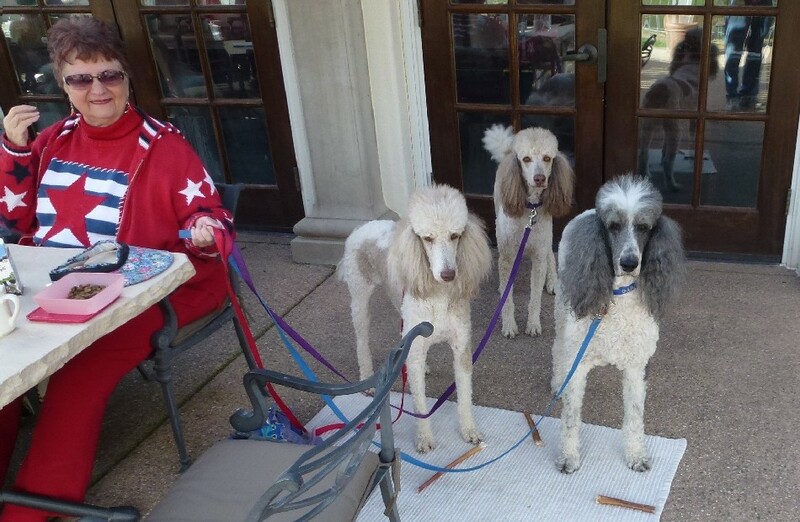 Breakfast was attended by 14 people and 11 dogs. 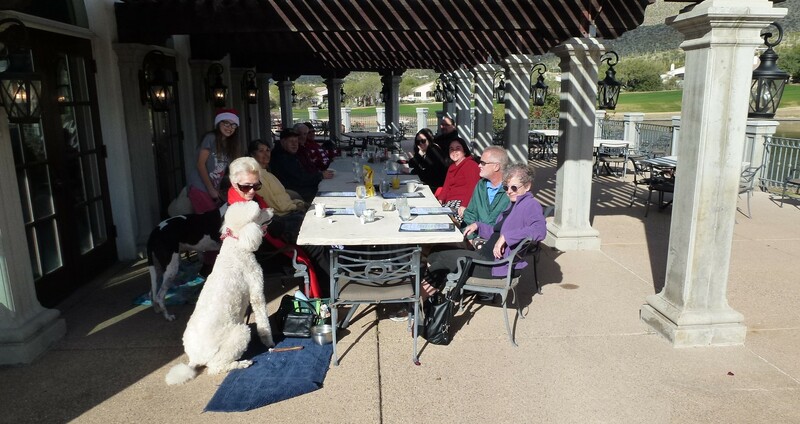 Pictures taken during breakfast are shown below. 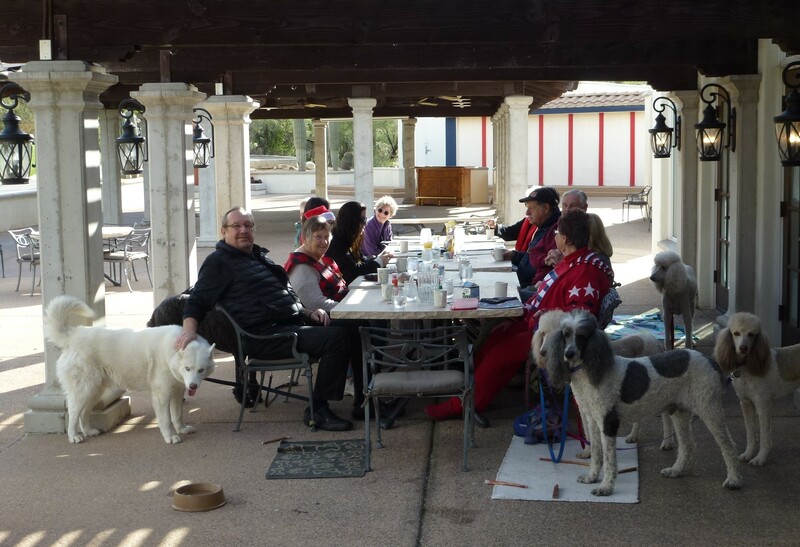 Click on the following links to see pictures from previous Christmas Breakfasts with the dogs: 2010 2011 2012 2013 2014 . 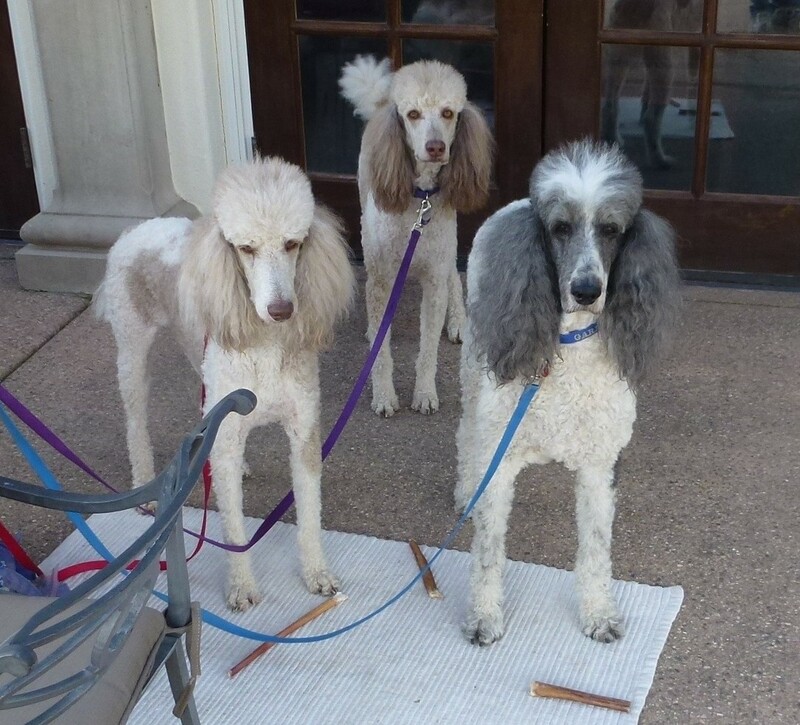 Coco, Cappy and Garrett - zoom - - Click here for more pictures of Garrett, Coco and Cappy. Although not here in December, August 2015 pictures of Nadia and Aaron are at: click here.